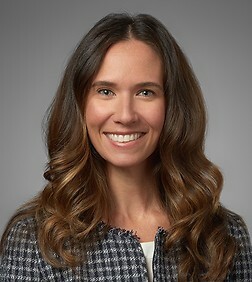 Alexis Jodlowski is an associate in the Real Estate, Land Use and Natural Resources Practice Group in the firm's San Diego office. Alexis is experienced variety of real estate, land use and municipal law matters, including telecommunications permitting and leasing. Her focus is on the representation of commercial, retail and residential developers in residential, mixed use projects, and condominium projects throughout California. Prior to joining Sheppard Mullin, Alexis served as a City Attorney advising the City of San Diego Development Services Department and Real Estate Assets Department on telecommunications permitting and siting issues. She assisted the City in preparing various telecommunications related agreements, including licenses for the placement of small cells and cell towers on City property. On the permitting side, Alexis advised the City on issues relating to the interplay between local land use and federal telecommunications regulations. She also helped the City develop a new permitting process in response to the FTC’s implementation of the Spectrum Act, a federal statute regulating how local municipalities process permits for certain wireless communication facilities. In addition, Alexis litigated several cases filed under the Federal Telecommunications Act and California Permit Streamlining Act relating to the permitting of cell towers, including American Tower Corporation v. City of San Diego, et al., 763 F.3d 1035 (9th Cir. 2014).